I’ve mentioned it to a few other clients over the years, but the reaction I typically get is something along the lines of “yuck”, “ewww”, and “I hate Tudor”. I hear similar sentiments from real estate agents and homebuilders, too. That’s too bad, because once upon a time, Tudors were loved. 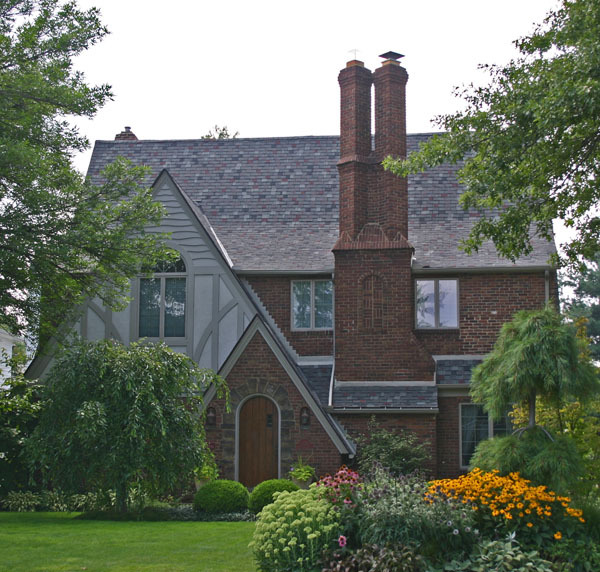 Tudor Revival style, loosely based on English building traditions from several eras, was the second most popular home design style for most of the first half of the 20th century. 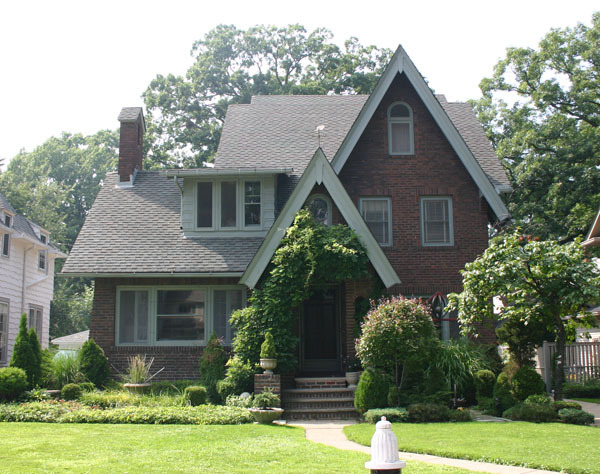 From about 1890 through 1940, Tudor-styled homes dominated American neighborhoods – inner ring suburbs of every major city were filled with them. 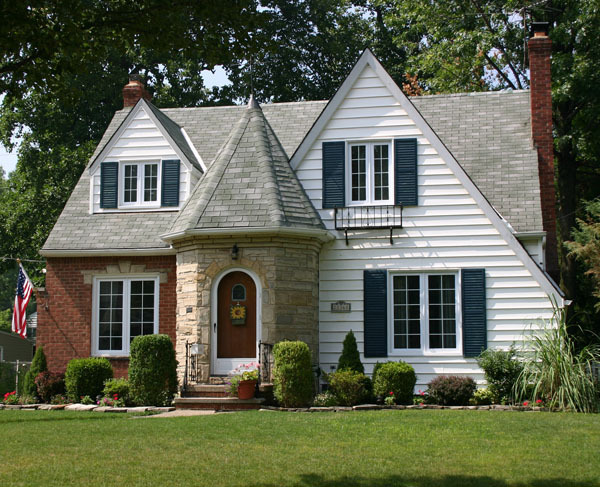 In the 1920’s, roughly 25% of all new homes built were Tudor-styled. And then one day, we stopped building Tudors (later, we started watching The Tudors, but that’s another story). A World War, changing Architectural tastes, and an urgent need to build homes fast caused the unique, picturesque, and carefully-crafted Tudor homes to fall out of favor. The love affair was over. The history of American home building is a story of invention and revival. We’ve mined our own past for variations of Colonial traditions, and in the 20th Century Americans created the Prairie and Craftsman styles. We’ve looked to Europe for Classical, Greek, Gothic, Tudor, and Italianate Revivals. And while many of these styles were fashionable for only a few decades, they’ve reappeared again and again throughout the 20th century, especially Colonial-Revival and Victorian styles. But English Tudor? Not so much. Tudor Style got a bad and largely undeserved reputation after World War II for being difficult to build, probably because the style didn’t fit well with the mass-production homebuilding techniques developed in the late 1940s and 1950s. A long time passed before anyone started building Tudor homes again and unfortunately when they did, the subtleties of the style had been lost and the new Tudor houses – well, they just weren’t very good. You know what I mean. You’ve seen those awful stucco McMansions with “Tudor” details stuck to the outside. So if the only “Tudor” homes you’re familiar with were built in the late 20th century, you probably really haven’t really seen how lovely good English Tudor homes can be. 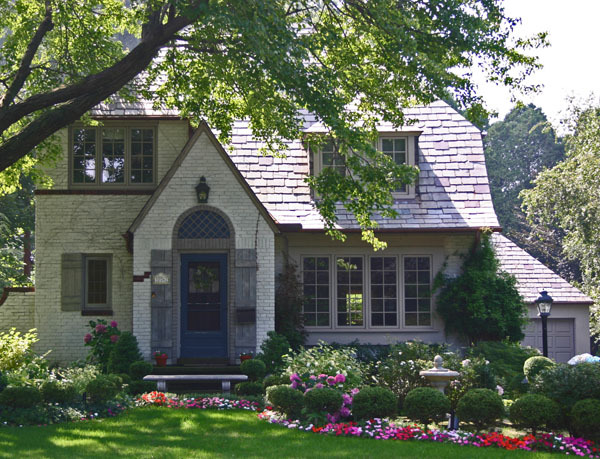 I’d like to see a 21st century Tudor Revival, especially in small homes and cottages. 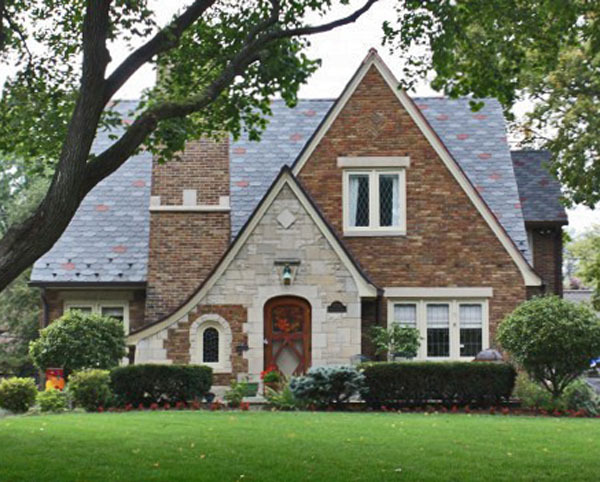 A revival that starts with a better appreciation of the hundreds of thousands of 1920s and 1930s Tudor homes in many American cities, and leads to a greater interest in English Tudor style for new homes today. 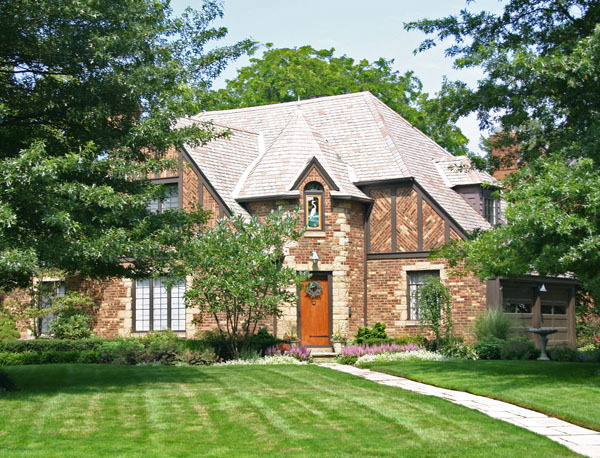 Tudor Style works well on small homes, where the massing can stay simple and the details can make the house sing. The older neighborhoods of American cities are often great places to live, with character and style, neighborhood services, high walkscores, and increasing home values as the move back to the city continues. If that’s where you’re headed, you’ll find Tudor homes of every size and shape (like the ones in these photos) awaiting you. If it’s a new home you’re planning, take another look at the fine Tudor cottages in your inner-ring suburbs – you might find inspiration you hadn’t expected. Interested in other house style? Check out American House Styles – Just The Basics.